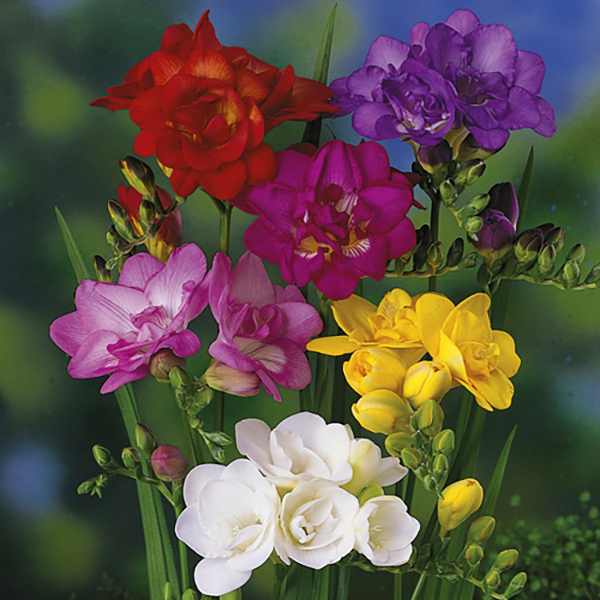 One of the most attractive and sweetly fragrant summer flowering bulbs, this specially selected mixture will be supplied as heat-treated' bulbs, which guarantees they will flower from the first season onwards. 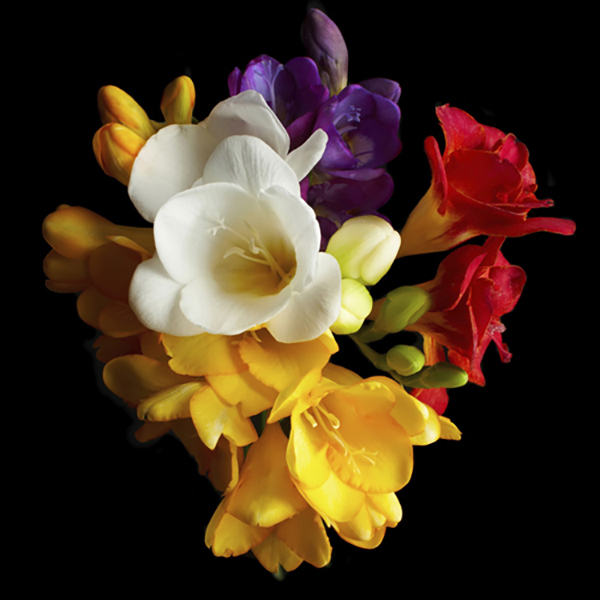 Often thought of as a florist's special, now you can grow these beauties in your own garden and create your own stunning fragrant displays. 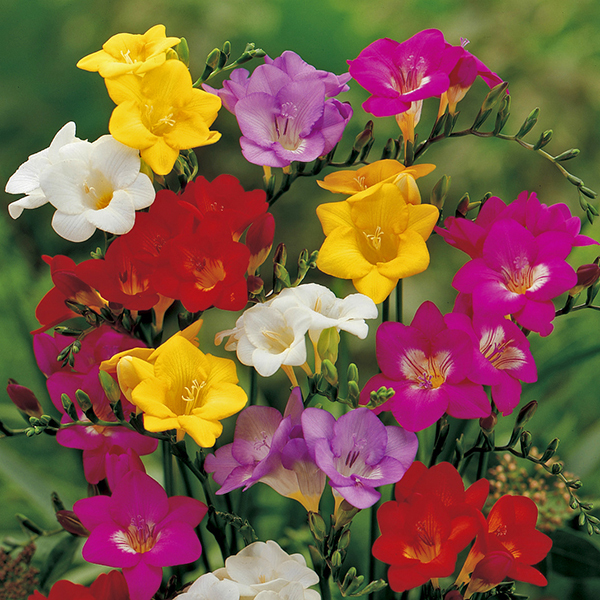 Supplied in a stunning array of bright colours, these Freesias are perfect for growing in pots on your patio or for planting en-masse in your beds and borders where they'll add an elegant touch of colour. 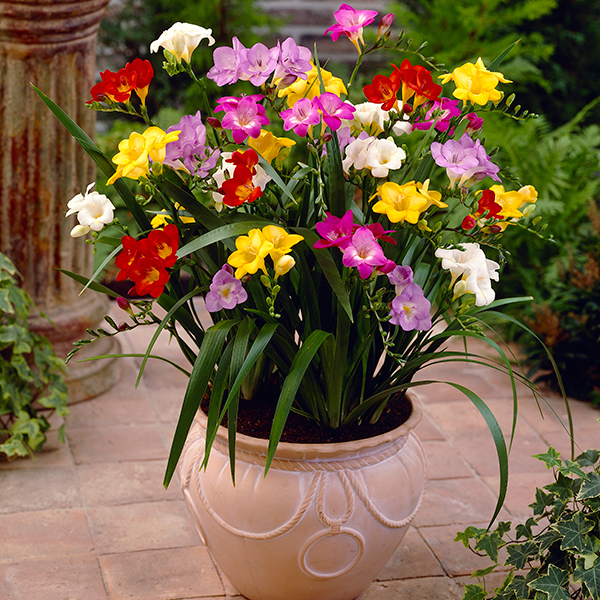 Perfect for growing in a cut flower garden, cut the flowers when tight in bud for maximum enjoyment and fragrance indoors where they'll create the most beautiful displays in vases or as bouquets for friends and family. They will over-winter in mild winters, and produce bigger and better displays in future years. They've also been heat-treated to guarantee flowers this year. These beauties no longer need to be simply a treat, so grow your own, and you can enjoy bountiful crops to pick again and again. 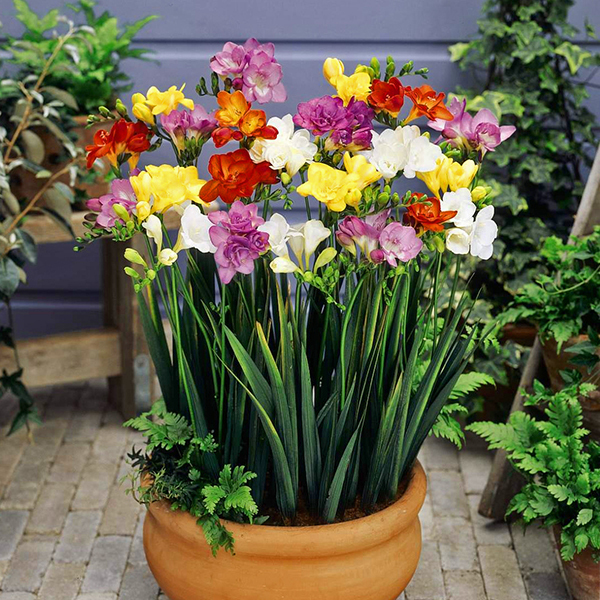 Supplied as: a pack of 100 bulbs, size 4/5 in a mix of colours heat treated to guarantee flowers this year.